Take a look at the chart. 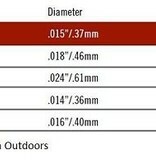 You’ll see that the diameter of Hatch backing is equal to or less than our competitors’ products. Now look at the lb/kg ratings. You’ll notice right away that our material is stronger than everyone else’s. 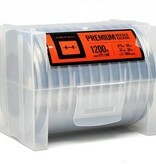 The diameter of the line determines how much backing builds up on the arbor of a reel, not the pound rating. So, a single diameter line can be used effectively in all fly-fishing applications – fresh or saltwater. 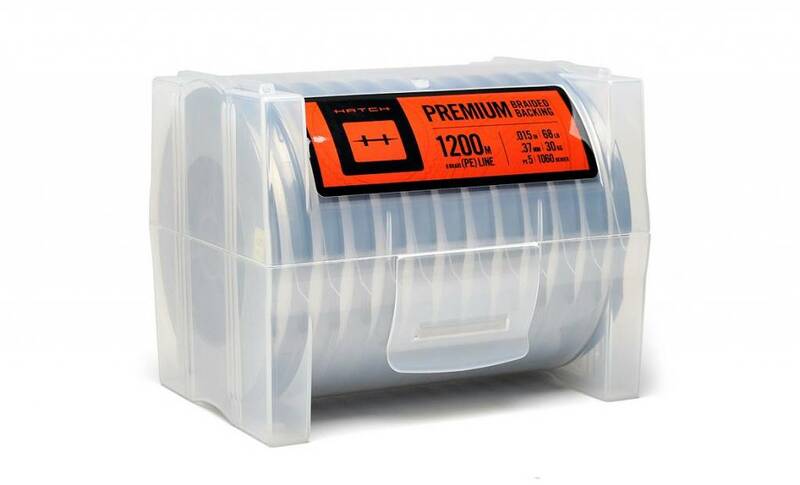 Sold in interlaced 100 meter spools for filling big reels with one continuous line. Example: Quantity of 1 is 100 meters. Quantity of 2 is 200 meters, etc.